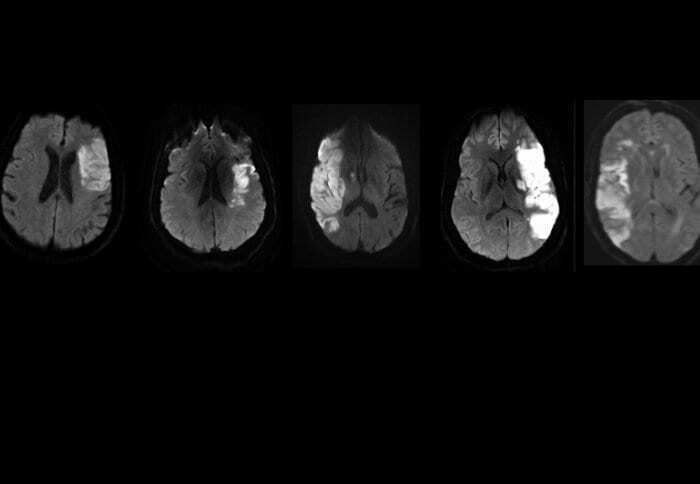 MRI scans showing brain damage in the stroke patients before treatment. Source: Stem Cells Translational Medicine. April 9, 2019 - Could a vibrating glove become part of stroke therapy? - Scope ScopeStanford researchers are collaborating to develop a vibrating glove that could improve hand function following a stroke if worn for several hours a day. April 18, 2019 - Patients at High Risk for Stroke Benefit from Combination... : Neurology Today LWW JournalsCollins, Thomas R. Neurology Today: April 18, 2019 - Volume 19 - Issue 8 - p 10–11. doi: 10.1097/01.NT.0000558055.27170.8d. For Your Patients.